CMS Ditch Magnets are an oilfield tool designed to remove ferrous metal particles from drilling mud. The core part of the ditch magnet is the permanent magnets which decide the catching power of the products. The stronger the magnets, the more metal particles will be captured. As of today the strongest type of permanent magnet is neodymium rare earth magnet, which is 7-8 times stronger than the ceramic magnet. The ceramic magnets are much weaker and heavier than the neodymium magnets so they are phasing out in today's oil industry. CMS Ditch Magnets Handle Easier! it is much lighter than ceramic magnet types so it is much easier and safer to handle. Our ditch magnets can be handled by a regular build-up lady! At CMS Magnetics Pay Less! Pay less and catch more than other similar products! All of our ditch magnets are made of powerful rare earth neodymium magnets (NdFeB) to maximize metal capture. They are also much lighter in weight compared to other ditch Magnets available on the market, which makes them safer and easier to handle. 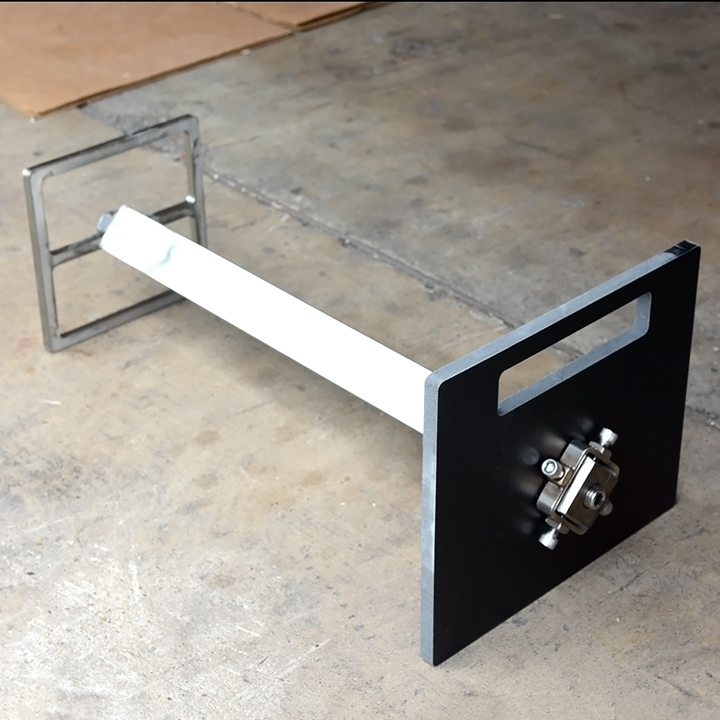 The best part is our stronger ditch magnets are marketed at a lower price than the old ceramic ditch magnets. See the best ditch Magnets at Magnets For Sale & CMS Magnetics. Neodymium Ditch Magnets should be used any time metal particles accumulate in the drilling mud. Position the magnet in the mud return line before the shale shaker, in the opossum belly of the shale shaker, or at the discharge of the shale shaker. Ferromagnetic particles passing by the magnet will be captured and retained, extending the shale shaker’s screen life while protecting mud pumps and other costly components of the mud system.